Met this darling woman "Becky A Carey" end of Spring last year. She got engaged and booked an engagement session with me. Never settled on exact date due to all the rain we had been getting. We were constantly in touch because we connected so well. Then I received an email in September informing me of her dad's 4 year battle with Prostate cancer. He had gotten weaker and hospice was being called in. 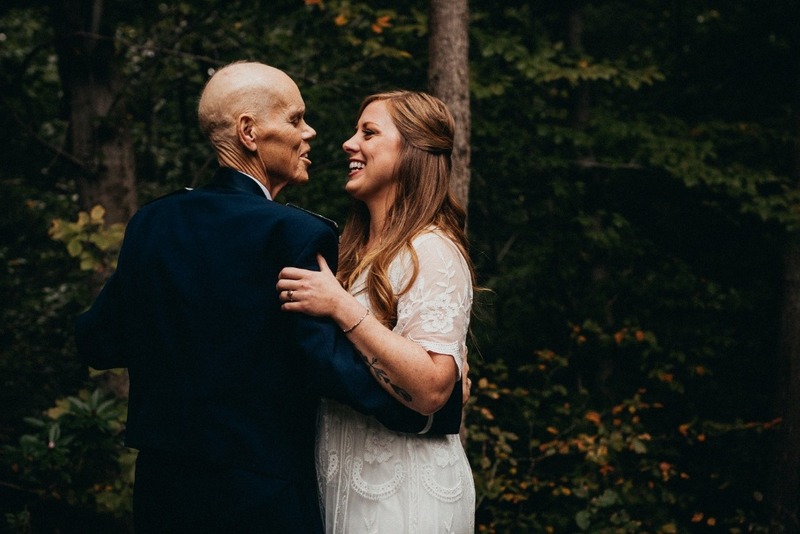 She didn't think he would make it to her wedding that was set for a year later and wanted to get some first dance photos of them two in her childhood back yard. Thankfully we were able to get those photos done and Tim and Becky shared those photos together for 5 months together until his passing on March 29, 2019. I shared their heartfelt story on Facebook and so many of you have given a tremendous outpour of love. You all have asked to donate to her engagement photos and wedding expenses. Not only could they use the help with the wedding, her darling mom who stood right by his side and cared for her husband for years, could use some relief with any kind of medical, funeral, and/or home expenses. Any help will be appreciated to this amazing family. Thank you for your sweet words, love and sincere hearts.